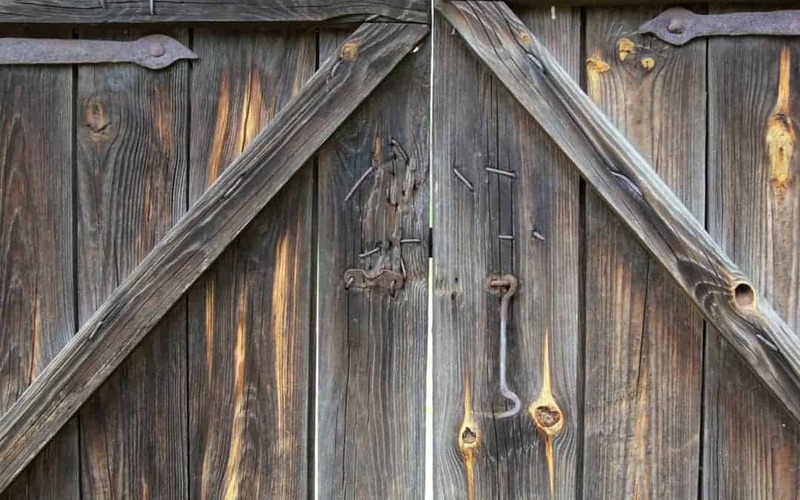 Home » Rustic Fence Blog » What Causes a Wood Gate to Sag? What Causes a Wood Gate to Sag? There are few things that are as unattractive as a sagging wood gate. But what causes a wood gate to sag and how can you fix it? There are many ways to resolve issues with wood gates, especially if you call professionals. If you’re experiencing any issues with your current wood gate, you should contact the experts at Rustic Fence to find out more information. Sometimes gates are installed on posts that are either too small or not deeply set. If the posts simply cannot support the gate, the gate will begin to fall and sag, and it may not be able to be opened and closed any longer. This needs to be fixed by an appropriate installation, which can only be done by professionals. This can happen if the contractor is inexperienced. All wood will swell and gain weight during periods of heavy rain. If your area has been unseasonably rainy, you may find that the rain affects your gate. If your area’s ground has been disrupted by continuous flooding or other water-related issues, it may not be able to support the gate or fence properly. This can lead to some significant sagging throughout both the gate and the fence itself. Contact a professional residential and commercial custom fencing gates that are sagging repair by the local fence professionals at Rustic Fence that has served Fort Worth for decades. It’s always a good idea to have a sagging gate looked at by a professional. Contact Rustic Fence to find out more about fixing your sagging gate and making sure that the structure of your gate and your fence is adequate. Otherwise you could find that damage increases over time and becomes even more difficult to fix. (817) 275-2151 | Contact Rustic Fence Gate Repair Company Fort Worth Tx.